I think I am finally beginning to understand the Scholium Project wines. A little. Maybe. It’s taken me a few years. Perhaps it has to do with how I think and feel about wine. 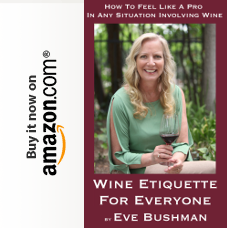 You may have noticed that even though I have been contributing to Eve’s Wine 101 for several years now, I rarely review individual bottles of wine. Eve does most of that and she is great at it. Of course, for the wineries out there, if you want me to review your wines, feel free to send them to me. But, I’ll review them my way, which basically has to do with how I feel about them in the context in which I am drinking them. Which brings me back to the Scholium Project. As I said, I’ve been drinking Scholium for a few years. I’ve enjoyed the wines; some are more challenging than others. I’ve had people whose palates I admire roll their eyes when I mention Scholium; I’ve had others’ eyes light up. When asked what they taste like, I’ll often reply that, well, they taste like Scholium. Admittedly, I stole this from an article that I read awhile back wherein the author of the piece asked one of winemaker Abe Schoener’s assistants what a particular bottling named Glos tastes like and she replied that “it tastes like Glos.” To me, that was the perfect answer, as Abe’s wines taste of what they are, representative of the conditions in the vineyard that day and what has happened to the wine with minimal intervention. Even knowing the varietal becomes of reduced importance. The best way to developing an understanding of what Abe is doing is to attend one of his lectures/tastings. Philosophy becomes the core and the wine almost becomes secondary, except of course, it isn’t. 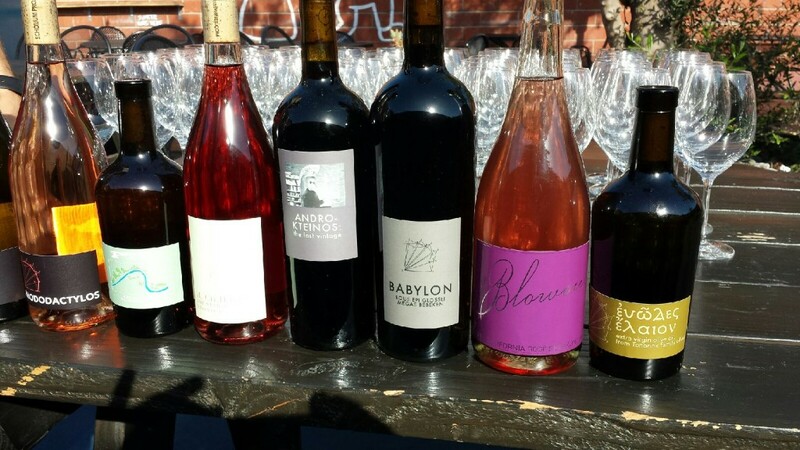 Recently, along with assistant winemaker Alex Pitts and master of presses and everything else Brenna Harrington, Abe hosted a tasting at Everson Royce Bar in the developing Arts district of Downtown Los Angeles. On a stereotypical warm late Winter So Cal day, about 20 or so of us had the opportunity to taste the latest releases of the Scholium Project. Abe also pointed out that wine has an overriding theme of “doom and decay.” From the moment the winemaking process starts to the point the wine is consumed, it constantly changes, at some point, sooner or later, reaching a peak and then falling off, with the ultimate elusive goal of consuming the wine at exactly the right point in time. And yes, there was wine. I’ll list them below, without attempt at tasting notes, but with a little bit of commentary. 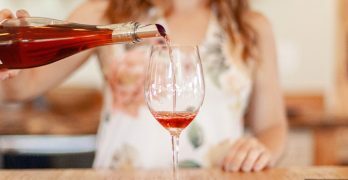 Blowout – Scholium now produces sparkling wines, both a white and rose. Primarily Gruner and Verdelho [the rose also has Zinfandel], closed with a beer bottle cap. 2015 vintage – great way to start [white] and finish [rose] the tasting. 2015 Naucratis [Lost Slough Vineyards] – incredibly rich Verdelho. 2015 Rhododactylos [Bechtold Ranch] – the label says white wine for some reason that I don’t understand. The color varies but it always is some shade of pink; this one the darkest I can remember. This is typically one of my favorite Scholiums, I think of pure river water when I drink it. 2015 FTP [Kirschenmann Ranch] – Pinot Grigio from Tegan Passalacqua’s vineyard in Lodi. The name is an homage to Tegan, who is perhaps best known as the winemaker for Turley. The TP stands for Tegan Passalacqua, the F stands for what F usually stands for. 2015 Il Ciliego – tasty light version of zinfandel, first vintage and a move away from heavy reds that Scholium had been known for. 2014 Androkteinos [Hudson Vineyards] – delicious Syrah, one that I will very much miss as Abe is discontinuing this wine with his focus more on white wines. 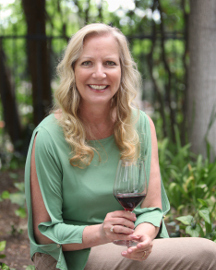 2013 Babylon [Tenbrink Family Vineyards] – fortunately, this Petite Sirah is not going away. My favorite of the day – yes, I asked for seconds. After the tasting, I commented to Abe that he is an “outlier”. I’m not sure he appreciated that, but I definitely meant it as a compliment. The wine industry, any industry, needs those who approach their work outside of typical boundaries in order to move the industry forward. One last thing…I was commenting to someone at the tasting that I wish Abe et al did a better job of selling their wines. The woman I was speaking to said they need to sell just how they do it, a bottle at a time. Personally, I disagree. With a patio full of adoring fans who were clearly feeling “all in”, what better way to encourage further commerce than to suggest website purchases and even better to join the Scholium Obligants and receive quarterly shipments? Abe didn’t mention it at the tasting, so I am mentioning it here.